Tamara Draut, vice president of policy and programs at Demos, is the author of Strapped: Why America’s 20- and 30-Somethings Can’t Get Ahead. 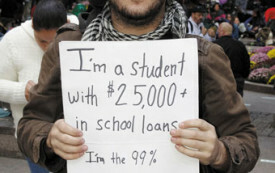 The crushing burden of student debt has shattered the American dream for a whole generation. They want their future back.